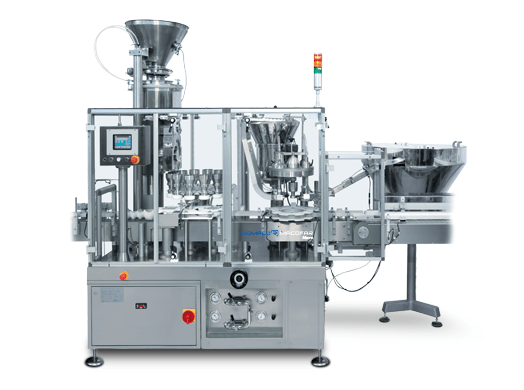 Within powder filling, Romaco Macofar delivers high-quality powder dosing systems for filling into vials or bottles, also for sterile powders. For both types of powder fillers we offer standard and customized solutions, which can be integrated with secondary packaging lines. PPS also supplies different solutions for sterilization. 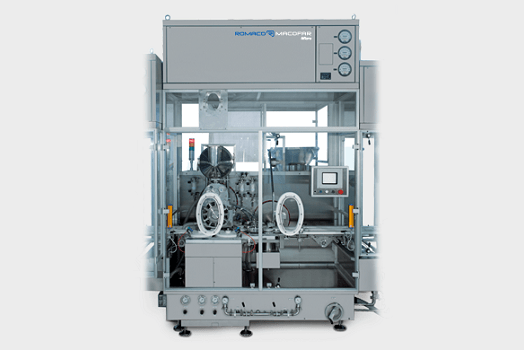 PPS and Romaco Macofar supply a range of powder fillers that, depending on individual customer requirements, can fill powders and granulates into vials and glass or plastic bottles. With a vacuum/pressure system the powder filler offers continuous processing of non-free-flowing powders and similar substances. Dosing volume ranges from 6 cc to maximum 95 cc. Compatible with most types of closure systems. Modular and flexible design offers fast changeovers. For aseptic powder filling into vials, PPS and Romaco Macofar offer high quality equipment suitable for manufacturing in clean rooms and with isolator. 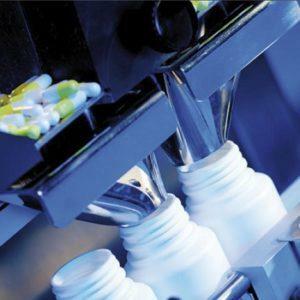 The sterile powder filling systems are designed according to cGMP regulations and can be tailored to meet process requirements. Less waste and reworking due to high automation level. Comes as standalone units or complete aseptic lines. Barrier technology (RABS) available as an option.